The Michigan Achieves Leadership Council is a group of thought and business leaders from across the state, committed to making Michigan a top ten education state. Through their diverse experiences and areas of expertise, members of the leadership council help further the mission of The Education Trust-Midwest by providing valuable advice on engagement, outreach, and strategy. Click here to learn more about Michigan Achieves and how you can get involved! Ken Whipple is chairman of the Investment Committee for the Detroit General Retirement Pension Fund. From 2012-2014 he was vice chair of the Detroit Financial Advisory Board, a unit set up by the city and state to assist in Detroit’s turnaround. Whipple is committed to his community and has been recognized for his contributions. He has been a United Way leader and board member for many years, setting a record as Torch Drive chair and serving as chairman of the board. He is a past chairman of the board of Detroit Public Television and is a board member and past chairman of Oakland Family Services. Whipple is a trustee of the Community Foundation for Southeastern Michigan and chair of the Foundation’s Investment Committee. He also is the chairman of the board for Detroit Country Day School. Whipple has received several awards for his community service, including the 1998 Alois Alzheimer Award, the 1999 Max Fisher Community Service Award, the 2001 Heart of Gold Award, the 2005 Tocqueville Award, the 2006 Cor Vitae (Heart of Life) Award from the American Heart Association, and the Governor’s most prestigious volunteer award, the 2010 George Romney Award for Lifetime Achievement in Volunteering. Deidre Bounds joined Ignite Social Media in 2010 as Chief Operating Officer and Partner. She manages the Client Services, Consumer Insights and Analytics, Finance and Talent teams, as well as general agency operations. Prior to joining Ignite Social Media, Deidre spent 18 years with Ignite’s sister company, Brogan & Partners Convergence Marketing, where her appetite for learning the marketing business lead to her working in nearly every department within the agency. During her time with Brogan & Partners, she served as director of Public Relations, Media Director, as well as serving as the agency very first Digital Director. Deidre’s leadership and hard work earned her a Partner designation in 1998. In 2006, Deidre was selected by agency founder, Marcie Brogan, to serve as the first Managing Partner in the agency’s succession planning. In 2009, she was nominated and selected to serve as the company’s permanent Managing Partner. In this role, she was responsible for managing to the goals and objectives set forth by the Board of Directors including, but not limited to, revenue goals, identifying new income streams and leading the agency’s partner team. A native Detroiter and life-long supporter of the City, Deidre regularly volunteers her time on a number of boards and committees. In recent years, she has served on boards and committees for Habitat for Humanity of SE Michigan, ArtServe Michigan (recently renamed Creative Many Michigan), Nataki Talibah Schoolhouse, Orchard’s Children’s Services and the public relations and marketing committee for Mayor Bing’s transition team. She is an advocate for women and children and has mentored homeless women at Peggy’s Place (a shelter for women and their children through COTS) and teen moms through the Catherine Ferguson Academy in Detroit. Currently, Deidre serves on executive boards for the Detroit Regional Chamber and the Sphinx Organization. In 2012, she was appointed to the Michigan Women’s Commission by Governor Snyder. She serves on a Commission’s human trafficking subcommittee where she focuses on building awareness of this increasing social issue. In addition, she is a committee member for the National Council on Men and Boys and the National Council for Women and Girls. In 2013, Deidre started Daughters of Turresa (in honor of her mother) — a mentoring and support group for the younger women of her family. Deidre resides in Troy, MI with her husband, Bill. She is the mother of two adult children and a grandmother. Brian Cloyd is vice president of Global Community Relations for Steelcase Inc., the global leader in the office furniture industry. Steelcase delivers a better work experience to its customers by providing products, services and insights into the ways people work. Its portfolio includes architecture, furniture and technology products. This role, which Brian assumed in September 2006, is an expansion of his previous position as director of Corporate & Community Relations for Steelcase North America. Brian is responsible for coordinating Steelcase efforts in the areas of diversity, government relations and public policy, corporate relations and community giving & volunteer programs. He also works with the environmental team to ensure that Steelcase’s sustainability strategies are included in the broader point of view. Brian became director of Corporate & Community Relations in November 2002. In that role, he was responsible for all community and corporate relations at the local, state and federal levels. Brian joined Steelcase in 1978 as an employment representative. Since then, he’s held various positions in employment and human resources, including employment supervisor (1980-1984), employee relations manager (1984-1986) and manager, Human Resources, Planning and Assessment (1986-1994). In 1994, Brian was promoted to director, Human Resources, for Stow Davis Furniture, a position he held until 1996. From 1996 to 1998, he was director, Human Resources, for the Steelcase Design Partnership (SDP), and from 1998-2000, he was director, Diversity and Staffing services, where he was responsible for hourly and salary hiring, supplemental staffing, management/supervisor selection and succession strategies. From 2000-2002, he was director, North America Human Resources, responsible for all human resources practices and process for Steelcase North America locations. Before joining Steelcase, Brian worked for the City of Grand Rapids as a supervisor. His primary objective was job training for economically disadvantaged people. Born March 17, 1951, in St. Louis, Mo., he earned a bachelor’s degree in history from the University of Detroit in 1973. In 1976, he received a master of arts from the University of Detroit in public administration. Brian serves on the boards of directors for the West Michigan Center for Arts & Technology, Meijer Gardens and Sculpture Park, the Economic Club of Grand Rapids, the Student Advancement Foundation, and the Workforce Development Council. He serves on the Grand Rapids Chamber of Commerce Board as vice chair for Diversity and as a member of the Diversity Advisory committee and the Regional Issues committee. Brian is a member of the board of trustees for Northern Michigan University and the advisory council for Grand Valley State University College of Business. Additionally, Brian is co-chair of the Education Reform Initiative and a member of Michigan Business Leaders for Excellence in Education. 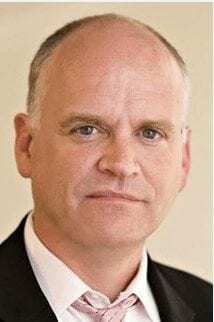 Nolan Finley is Editorial Page Editor of The Detroit News, a position he’s held since May 1, 2000. He directs the expression of the newspaper’s editorial position on various national and local issues, and also writes a column in the Thursday and Sunday newspapers. Prior to that, Finley was the newspaper’s Deputy Managing Editor, directing the newsroom. Previously, he served as Business Editor, and in various editing positions on the city, state and metro desks. He was also a reporter, covering Detroit City Hall during the Coleman Young administration. Finley has been with the newspaper since 1976, starting as a copy boy in the newsroom while a student at Wayne State University. Nolan also co-hosts the “MiWeek” show on Detroit Public Television and often appears on Flashpoint on WDIV. He is a graduate of both Schoolcraft College in Livonia and Wayne State, where he earned a Bachelor’s degree in journalism. In 2012, Nolan was inducted into the Michigan Journalism Hall of Fame. He is a native of Cumberland County, Ky.
Ron Fournier is President of Truscott Rossman. Prior to joining Truscott Rossman, Fournier served as editor-in-chief of the National Journal for two years and as senior political columnist for the National Journal and The Atlantic. Fournier has won many journalism awards, including the Society of Professional Journalists’ Sigma Delta Chi Award and the White House Correspondents’ Association Merriman Smith Memorial Award. A graduate of the University of Detroit Mercy, Ron began his journalistic career in Hot Springs, Ark., moving to Little Rock to cover then-Gov. Bill Clinton. Fournier is the author of Love That Boy: What Two Presidents, Eight Road Trips, and My Son Taught Me About a Parent’s Expectations, which became a NYT bestseller. He serves on the senior advisory board of the Harvard Institute of Politics. Mike Jandernoa is a graduate of the University of Michigan and was a CPA, having worked at BDO Seidman for seven years prior to joining Perrigo in 1979. Hired by Perrigo as CFO, Mike was promoted to EVP of Sales and Finance in 1981, appointed President in January 1983, and became CEO in 1988. He was promoted to Chairman of the Board and CEO in November 1991, a position he held until May of 2000. During his career at Perrigo, Mike helped lead two LBOs in 1981 and 1988 and the IPO in 1991. In addition to his service on Perrigo’s Board of Directors, he also serves on the Board of Directors of Business Leaders for Michigan (“BLM”), Hopen Life Science Fund, Metabolic Solutions Development Company (“MSDC”), Spectrum Health System, the University of Michigan President’s Advisory Board, Grand Valley University Foundation, Gerald R. Ford Presidential Foundation, and The Heart of West Michigan United Way. Mike is a member of other corporate advisory boards and is a past member of the Young Presidents’ Organization. Mike also serves/chairs on numerous religious and community boards and committees as well. In addition, Mike is the founder of Jandernoa Entrepreneurial Mentoring. He is a co-founder of Bridge Street Capital Partners, lead investor and Board member of Hopen Life Science Fund, and co-founder and Board member of Grand Angels. Mike is the founder and Chairman of 42 North Partners, a family office focusing on investments, entrepreneurship, and community. 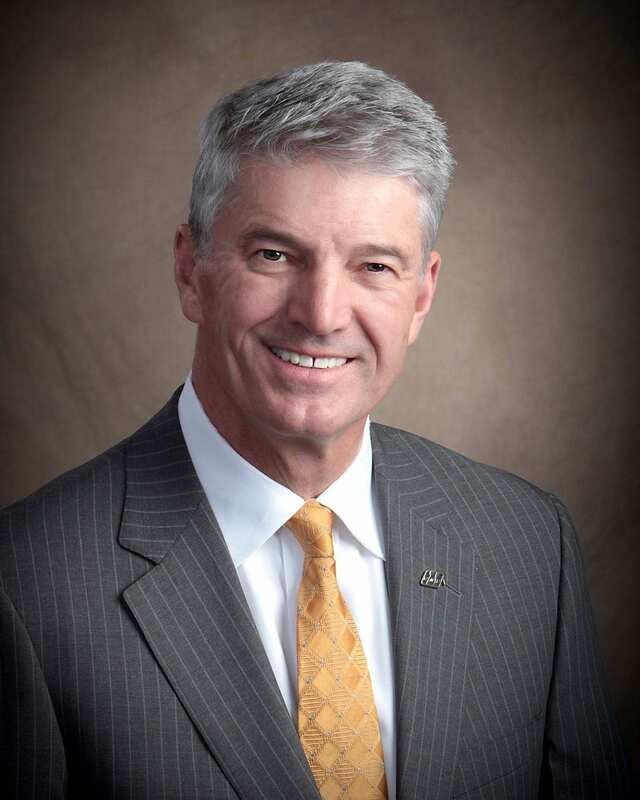 Richard L. DeVore is executive vice president and regional president of PNC Bank in Detroit and Southeast Michigan. DeVore, with more than 38 years of financial services experience, serves as PNC’s lead banker in the region and chairs the local PNC Foundation. 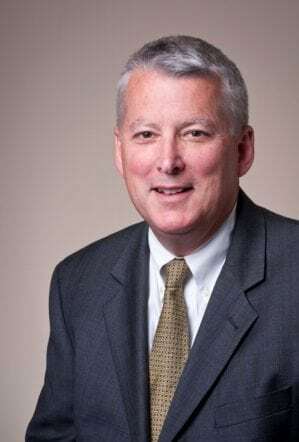 Prior to being named to his current position in 2010, he served as credit executive for Commercial Lending and oversaw credit training for all of PNC. Since joining PNC in 1991, DeVore has held a number of leadership positions, primarily in the credit and marketing groups. During the integration of National City Bank, he served as chief credit officer with the overall responsibility for the credit risk management organization. In 2001, he was named executive vice president. DeVore serves on the board of directors of Business Leaders for Michigan, Oakland University, Horizon Global, Inc., Cranbrook, Detroit Economic Club, Detroit Regional Chamber and Ann Arbor SPARK. DeVore holds a bachelor’s degree in Business Administration from the University of Michigan and a master’s degree in Business from Wayne State University, where he taught banking and finance courses for four years. He completed the Wharton School of Advanced Risk Management course in 2008. Mary Kramer was born in Grand Rapids, Michigan. She is a graduate of Grand Valley State University and worked for six daily newspapers before joining Crain’s Detroit Business in April 1989 as editor. She later held dual roles as editor and publisher, and in 2012, oversight of Crain’s Cleveland Business was added. In January 2017, she stepped away from day-to-day management in Detroit to focus on specific Crain projects in Detroit and Cleveland as a group publisher for the company. Crain’s Detroit Business (CDB) covers business news – including nonprofits and philanthropy — in the five-county metropolitan Detroit area. A statewide enewsletter, Crain’s Michigan Morning, extends that coverage statewide. Mary was inducted into the Michigan Journalism Hall of Fame in March 2017. She is the first woman to be elected president of the historic (and formerly all-male) Detroit Athletic Club. Her volunteer roles include many that support education, children and women’s issues, including serving as a board member at Grand Valley State University and the Skillman Foundation. She holds honorary doctorates from Grand Valley State, Walsh College, Alma College and Central and Eastern Michigan universities. She earned a B.S. degree in media from Grand Valley and an M.S. degree in Integrated Marketing Communications from Eastern Michigan University. David G. Mengebier earned a Bachelor of Arts degree from Michigan State University in 1981 and a law degree from Thomas M. Cooley Law School in Lansing, Mich., in 1984. He earned an MBA from the Ross School of Business at the University of Michigan in 2006. He is a board member of the Michigan Chamber of Commerce, Keystone Energy, Great Lakes Water Quality Board, Little Traverse Conservancy and TraverseCONNECT. He is a member of the Washington, D.C. Bar Association. 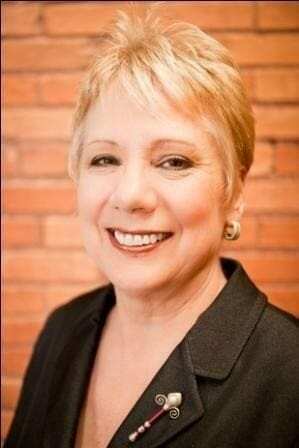 Diana R. Sieger is the President of the Grand Rapids Community Foundation, a position she has held for nearly 30 years. Under her leadership, the assets have grown from $35M to $330M. She is an effective community, statewide and national leader in community problem solving, policy development and advocacy, and around a variety of philanthropic issues. In her career that has spanned more than 40 years, Diana has been honored for her breadth of leadership and depth of expertise in the Grand Rapids community and beyond. She has two honorary degrees – Doctor of Humane Letters from Aquinas College and Grand Valley State University. Some other honors include: 2014 Athena Award from the Grand Rapids Area Chamber of Commerce, has been named one of the “50 Most Influential Women in West Michigan” six times by the Grand Rapids Business Journal and most recently Crain’s Detroit named her one of the 100 Most Influential Women in Michigan. She earned a Masters of Social Work degree from Western Michigan University focusing on Policy, Planning, and Administration and has continued her education with courses at Stanford University and Harvard University.